Size is probably what every bodybuilder is after when he first starts lifting weights. But let’s be honest, only a small number of bodybuilders are able to become so big, that they look like they can’t fit trough the door. So what can the “average Joe” do, to compete against these guys and their genetics ? Yes, there is a solution. Working hard on specific areas of the body can make you look a lot bigger than you really are, and make bodybuilders that carry the same weight as you look tiny when you stand side by side. 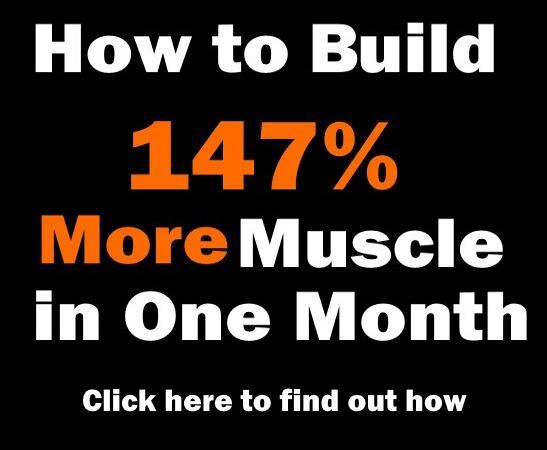 What you need is to create an illusion of size by working on your V-taper. 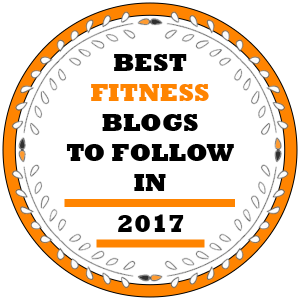 This means prioritizing bodyparts that contribute to your width, such as side deltoids, lats and quadriceps while still doing a routine for mass. Let’s take a look at a few exercises you can add to your bodybuilding routine that will enhance width. 1. 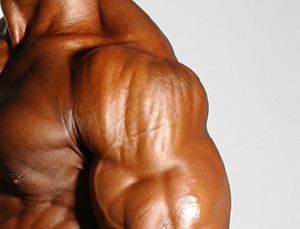 Nothing makes you look wider like a pair of well built shoulders – especially well developed side delts. The side delts can be worked with the well known dumbbell side lateral raises or cable lateral raises (personally, I prefer the free weights over cables). Another exercise that works the side shoulders extremely well is the wide grip upright row. When done explosively and with a proper weight, It will force the side delts, front delts and trapezius to grow. The final exercise should be an exercise for mass. I prefer the standing overhead press over the seated press as it tends to activate your back, abs and obliques to in order to stabilize your body during the lift and corrects shoulder imbalances, created from excessive bench pressing. 2. Next – the back. Creating the image of width is all about increasing the size of the lats. This can be achieved with two exercises – chin ups and pull ups. 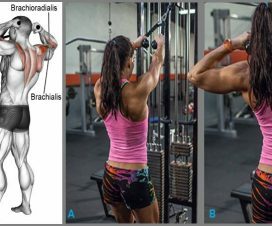 The difference between the two is that chin ups are done with the palms facing towards the body (increasing the use of the biceps) and the pull ups are done with the palms facing away from the lifter. If you can’t do these two exercises you can substitute them with machine chin ups and pull downs. 3. Large legs. Well developed thighs are the third component in a V-Taper. There is no secret that big thighs are built utilizing one of the most important bodybuilding exercises – the squat. You just can’t build a good physique without doing squats. Besides the thighs, squats work the back, calves, abdominal muscles and chest and in addition, they increase the production of anabolic hormones, such as HGH and testosterone. 4. Small waist. Keeping your body fat levels in check is the most important thing if you want to have a small waist. The secret to low body fat levels is the diet. 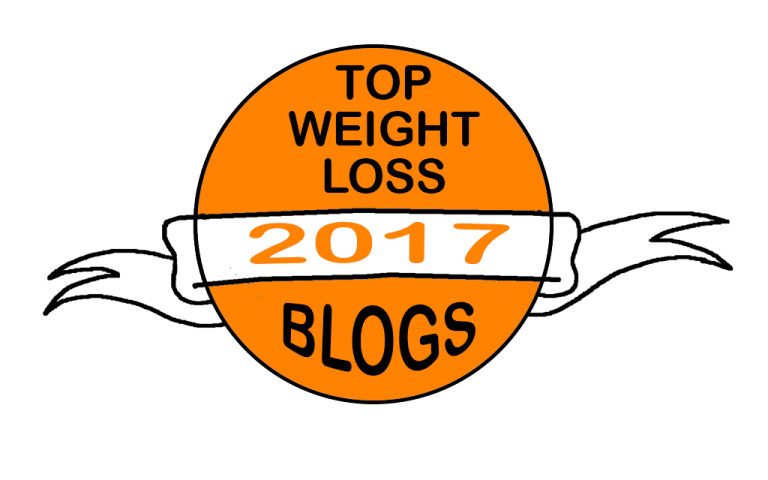 High protein, low carbohydrates and overall calorie control are the keys. Use cardio to speed up the fat burning process. 5. Large triceps. 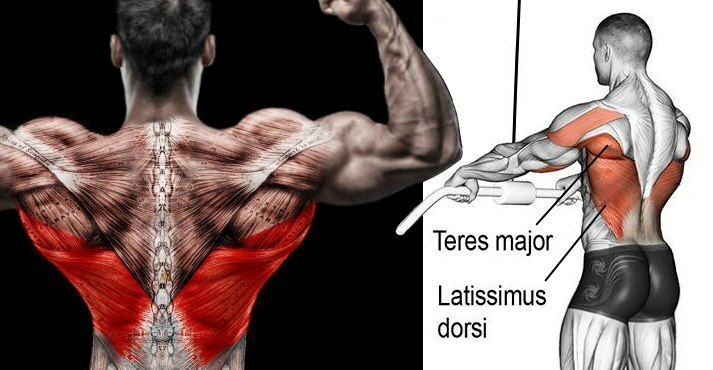 Only a small percentage of lifters are aware that the triceps takes about 2/3 of your arm. Most of them continue to blast their biceps with countless sets. 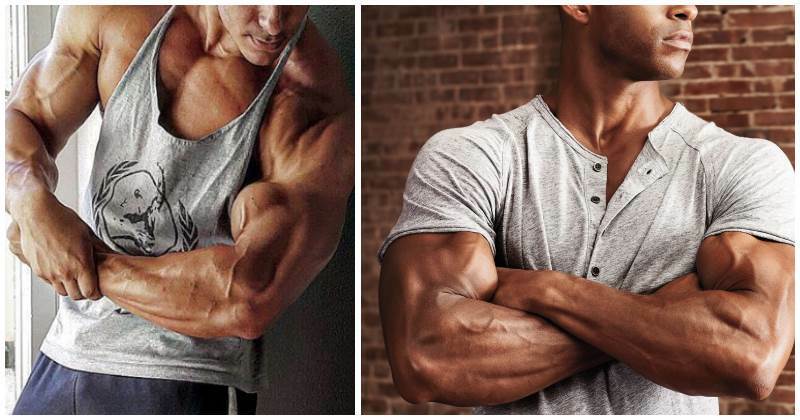 Building a bigger triceps will definitely make you look wider than you really are. and it will work good when i won’t use supplements? Yes, if you eat enough protein and calories from your food.